Let me begin by congratulating Your Excellency on your election as the Chair of the Second Committee and the election of your highly competent Bureau. I would like to assure you of my delegation’s full support and cooperation throughout the work of this Committee. My delegation associates itself with the statement made by the representative of Egypt on behalf of the group of 77 and China, the statement delivered by the representative of Paraguay on behalf of the group of Land-locked Developing Countries (LLDCs), and the statement made by the representative of Malawi on behalf of the group of the Least Developed Countries (LDCs). Today’s globalized world and international interdependency have dramatically changed the meaning and nature of development. Today, development is a multifaceted concept that is directly and intrinsically linked to all walks of human life- from social development to peace and security. Therefore, our approach towards development must be sustainable and include long-term solutions. In this connection, the adoption of the 2030 Agenda for Sustainable Development Goals was a major milestone towards this endeavor which provided us with new hope. It gave us a blueprint to transform our world- and achieve sustainable development for all. The 2030 Agenda provided us with tools to end poverty, hunger and inequality, take action on climate change and environmental degradation, improve access to health and education, and most importantly, hope for better cooperation for a peaceful and prosperous world free from violence and terrorism. Since the adoption of the 2030 Agenda, the international community has embarked on a journey to materialize these hopes. In the past three years, we have crossed some of the initial milestones on the path charted for the implementation of the SDGs. 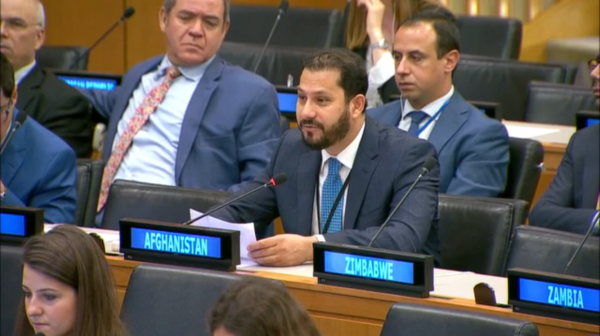 A large number of countries, including my country- Afghanistan, in their presentations of the Voluntary National Review have reiterated their commitments to achieving the SDGs. 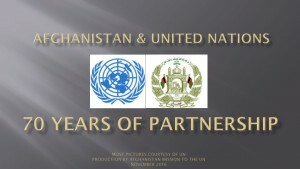 I have the honor to inform you that Afghanistan’s National Peace and Development Framework (ANPDF) has aligned the principles and objectives set out in the 2030 Agenda for Sustainable Development with national plans and policies, with the goal of achieving the SDGs. 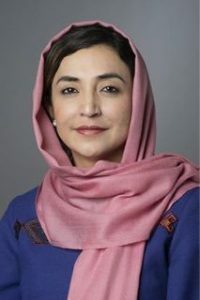 Further, in November, the Government of Afghanistan and the United Nations will hold a Ministerial Conference on Afghanistan in Geneva to discuss the policies and strategies of development and reform agenda. During the conference, we would provide updates on the progress made so far, and how development can contribute positively in promoting peace and security in the country. Despite our progress on various indicators, the implementation of the 2030 Agenda constitutes a great challenge, particularly to countries in conflict and post-conflict situations, including Afghanistan. These countries have faced unique challenges in achieving sustainable development. As we have learned from our experience in Afghanistan, conflict not only impedes but reverses decades of development gains. In this regard, our delegation sees the strengthening of the connection between peace & security and development as a priority in the work of the Second Committee. Financing for SDGs also plays a crucial role. We put a high value on the realization of the commitments made in Addis Ababa, and we would like to reiterate that Official Development Assistance (ODA), especially towards LDCs and LLDCs, is an element of primary importance to support our efforts for reaching sustainable development and economic growth. The adoption of the Paris Agreement, a comprehensive effort to combat climate change and mitigate its impacts is a seminal achievement of our age, and we should come together to ensure its proper implementation. We expect the international community to follow through with its financial commitments aimed at developing capacity for adaptation in developing countries. As an LDC, the commitments of this agreement are of special importance to Afghanistan. In conclusion, I would like to reassure you of my delegation’s constructive engagement throughout the discussion of this session of the Committee.